The project used to be called Mosaic (and Clinton Green before that). Mix-use, 700,000-foot two-building project. 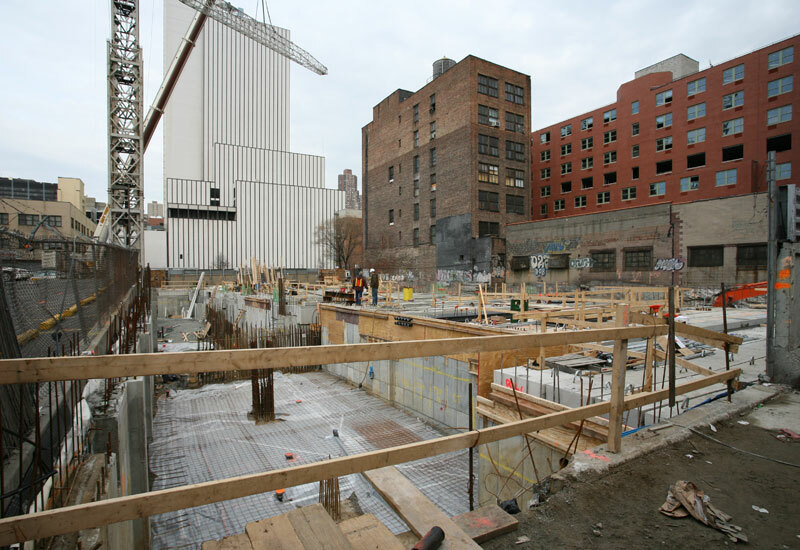 When completed in the fall of 2007, the buildings will host 627 rental apartments and six loft condominiums built over two theaters, an accessory garage and street retail. Built under the 80/20 program, 126 apartments will house lower-income families: 68 in the Uptown tower and 58 in the Downtown. Amenities include a health club, tenant lounge, media room and library, along with a cafe in each tower. 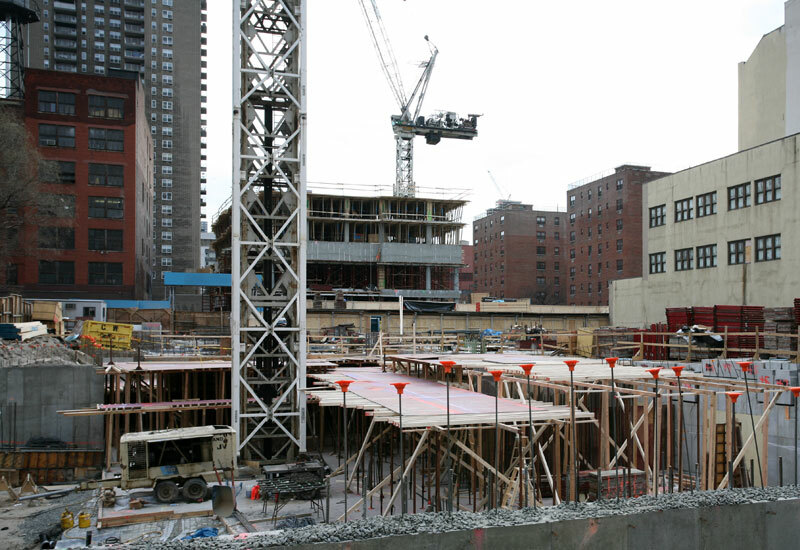 A 24-story tower to the south will rise midblock between 51st and 52nd streets. The other slightly larger 24-story building to the north will rise on 10th Avenue’s western block-front from 52nd to 53rd street. 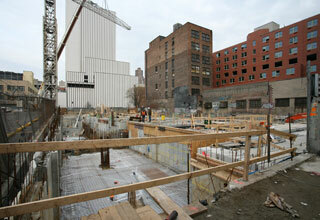 Construction of Mosaic in Hell’s Kitchen. 24 March 2005. 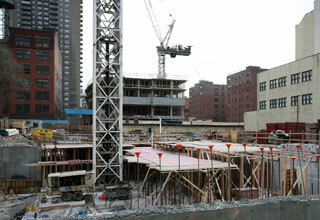 The site of Mosaic Uptown. 21 January 2005. The Mosaic project over the Amtrak rail tracks. 21 January 2005. Mosaic Downtown. 21 January 2005. 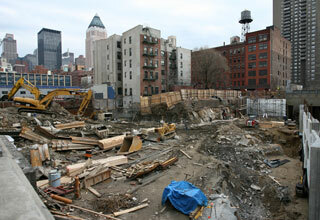 The site of 783 Tenth Avenue. 26 July 2005. 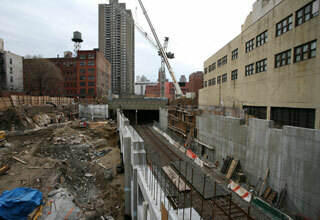 The view North from 52nd Street, the site of the North tower of Clinton Green. 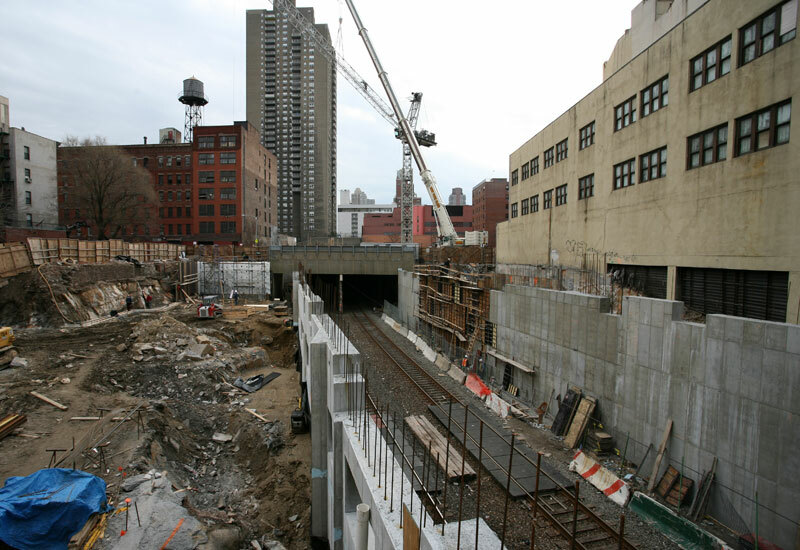 9 April 2005.